Last month I took my daughter Riley to a soccer tournament in Twin Falls, the town where Evel Knievel tried to jump the Snake River in 1974. 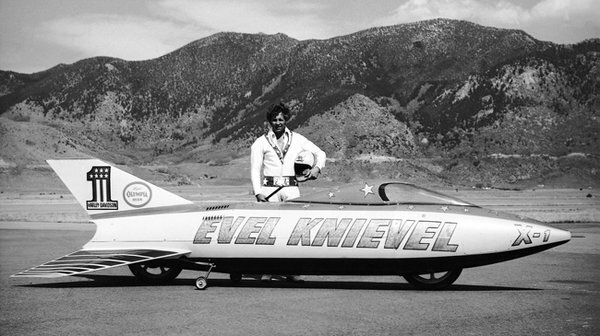 Denied the chance to attempt a leap over the Grand Canyon, Evel had learned a thing or two about bureaucracy. In order to pull off his dream in Idaho, he leased land of either side of the river and built a a ramp on one side, hoping the trajectory of this slope would propel his special steam-powered rocket with enough momentum to shoot the mile-wide gap. He was unsuccessful, poor bugger. His parachute deployed early and down he went, just missing the water, landing on the same side of the river as the jump, and breaking his nose. Between soccer games, Riley and I hiked to what’s left of the earthen ramp. Still ramp-like in formation, it’s nonetheless a “structure” you might miss without the signs. After all the hype around town about its genesis, it’s a little underwhelming, a monument insufficient in a lot of ways to represent how Evel’s schemes riveted the country then. As a kid, I paid attention to Evel’s antics, his spangled costumes, his thousands of broken bones. Now, above the Snake River, base jumping’s the thing. Around the bend from Evel’s ramp, jumpers hurl themselves from the Perrine Bridge, many GoPro-ing their falls, each of them hoping no parachute malfunction will deliver certain death, which happens often enough. One guy I talked with, who’d just come back from Malaysia where he’d jumped off the Petronas Twin Towers in Kuala Lumpur (twice the height of the Perrine Bridge), told me the Perrine jump was dangerously short. Riley and I watched twenty or so jumpers that day. It was terrifying to watch. I can’t imagine the terror of free falling. The week after we left town two jumpers died when their chutes failed to deploy. Somehow, Evel survived all those stunts he performed and died instead from lung disease in 2007 at the age of 69. For at least a decade, Evel’s been a household name at our house. It seemed right to make the time to visit one of his jump sites and talk about how what seems crazy to one person means inspiration, passion, and desire to another. 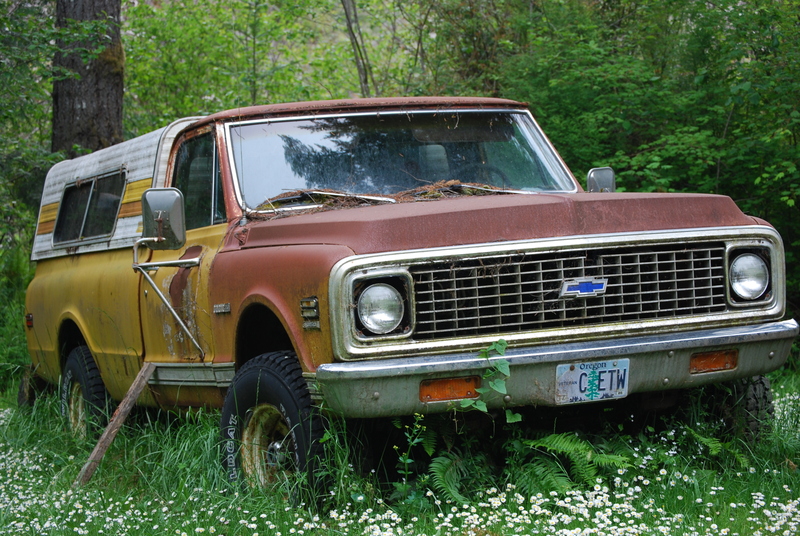 In the way the world is spectacularly weird so much of the time, while we were on this trip Flyway Journal of Writing and Environment said yes to my essay “Evel Kind of Love,” which you can read here. Deepest gratitude to Flyway for including me in June’s issue.